Discussion in 'General IH Tech' started by rustfreeTX, Apr 16, 2019 at 12:53 PM. 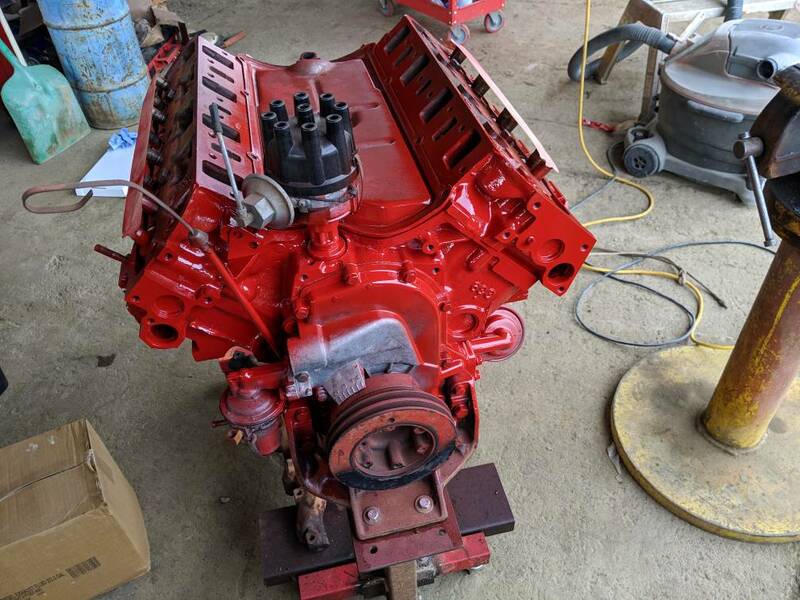 Probably been asked a bunch of times, looking for IH red engine paint. Pretty much stuck with rattle can at this point. Found these, VHT primer and red high temp. "Case IH Red" and there is an optional hardner that I use with it. its held up really well.It did spend a summer with the hood off in direct sun for a year. Mine hasnt faded, but some people have reported van sickle paints becoming chalky and fading. I believe they had rattle cans too. I think they also have IH red which is apparently a slightly different color. You might ask at a good PPG dealer thats been around 30 or 40 years. They might be able to find a code for it. Oreillys have a nice red. $7.99 a can. Bug bomb.looks great to. I used Duplicolor engine enamel, I believe it was universal engine red. Tractor Supply sells IH Red. They have it in rattle cans and gallon cans. Tractor Supply IH Red is what I’ve used with good success. KBS Coatings has an aerosol IHC Red. I haven't used it, so I can't attest to its performance. 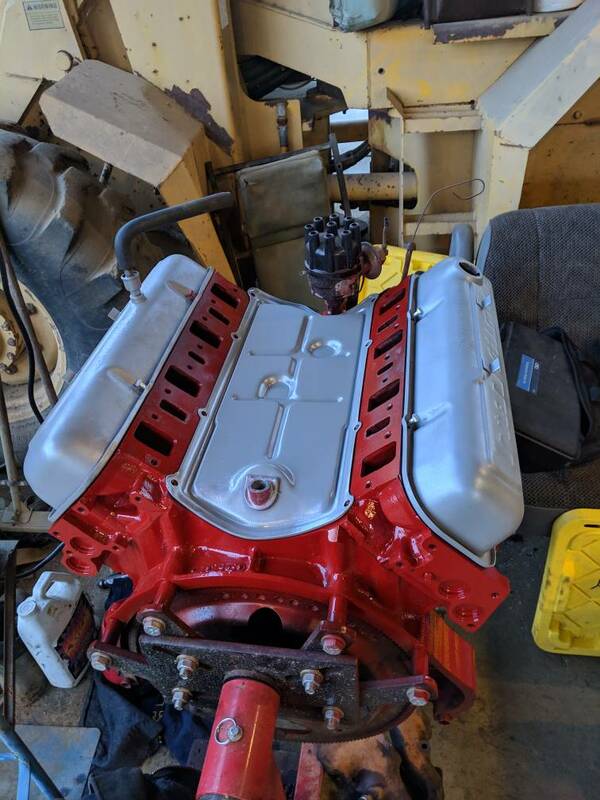 Thanks all, is the tractor supply paint for engines? I feel like it has to be high temp, not sure if regular paint would last that long. I know I've asked this before but did any of you use a primer coat, or just spray the red? You need to prep prep prep and then prep some more. You want to get any and all grease and crud out of there as paint won't stick to it. I did not prime with what I used on my valve cover. But I cleaned the heck out of it. Then applied a Prep-Sol cleaning solvent. This gets all the grease off. Thanks all, is the tractor supply paint for engines? I feel like it has to be high temp, not sure if regular paint would last that long? This has been asked and there's always been mixed opinions on whether it'll last or not. 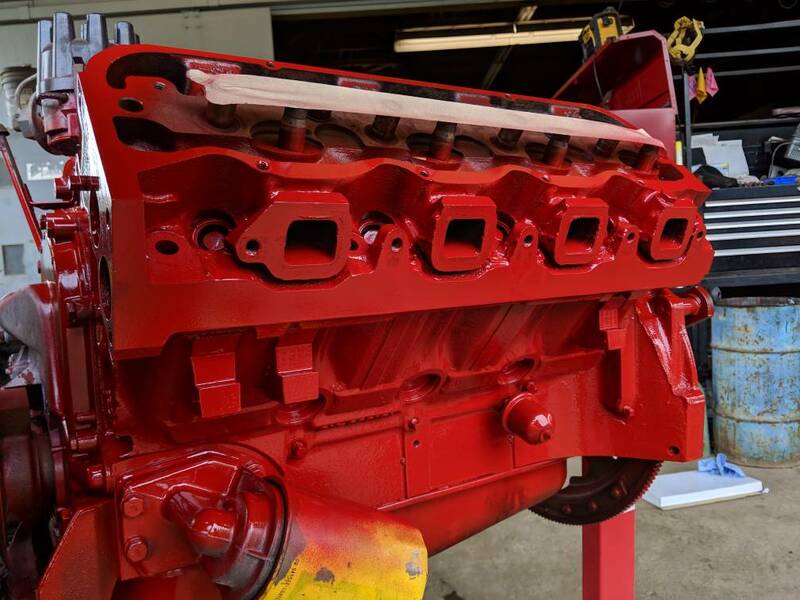 In the past I've had decent luck with the TS regular paint on valve covers and such. While searching something else, I stumbled across this . Never tried it but it's supposed to be IH red engine paint. Krylon #1818 International Red. You don't need high heat paint. It may not be exactly IH red but it sure is easy to use and looks great. It's 2k ceramic paint from Eastwood in gloss red. It's a 2 stage paint in a rattle can. There is a small chamber of the hardener inside the can that you puncture with a button on the bottom and shake to mix. Covers alot and only needs one coat. Those all look nice. That’s a project I’m scared to do for some reason.